A forest fire tore through the Jewish state, killing 41 people. The country stood exposed, and defenseless—then others rushed in to help. Fania Oz-Salzberger has a first-person report. It began on Thursday 11 a.m. with a thin column of smoke towering over the periphery of Isfiya, a Druze village perched atop the evergreen slopes of the Carmel National Park. Two teenage brothers apparently lit a campfire, smoked a nargillah—a hubble-bubble—and went home. Firefighters were slow to arrive; for a while it looked like one of the forest blazes that occasionally scorch a few acres of Israel's loveliest and largest green lung. But it hadn't rained in seven months, and the country's firefighting budget had been downscaled over several decades. In the early 2000s, Ariel Sharon's government killed off Israel's meager unit of fire-dousing aircraft. So by noon, a black cloud hung over the nation's third-largest city of Haifa, and menacing gray fluff filled the sunlit skies above my home in Zichron Yaakov, 18 miles south of the first flare. All hell broke loose over the next two hours. A treetop fire wave rolled west. Kibbutz Beit Oren ("Home of Pine") was hastily evacuated and went up in flames. Jailers at the Damon prison bused Palestinian inmates to other penitentiaries. Along the beautiful creekside mountain road that takes me to work every day, fire leaped from bush to treetop, from pine to oak and terebinth. Rare mountain mammals and birds of prey at the Wild Animal Nature Reserve shifted from restlessness to panic. The University of Haifa, my workplace, was emptied of staff and students within an hour. A wall of fire advanced down the slopes and the sky turned pitch black. A red disk represented the sun. The human toll would have been much lower had disaster not struck one spot at the wrong moment. I know that sharp bend in the Beit Oren road well: Coming from the north, it follows a mountaintop meadow where goats graze and the landscape opens far along the Mediterranean coastline, almost halfway to Tel Aviv. But on Thursday afternoon, a fireball rolled down to the road just as a bus carrying 40 prison guard cadets was making its way to Damon to assist with the inmate evacuation. The young men and women who leaped out of the bus after a failed U-turn attempt had precious little chance. Fifteen of the bodies were reportedly found huddled together in a final embrace. Only three survived, picked up by a photographer who then raced his car straight through the flames. Two police officers died in a following vehicle. Three, including Israel's highest-ranking female police officer, chief of the Haifa force, are in hospital fighting for their lives. Elsewhere, only two firefighters died, but they included a 16-year old scout volunteer. Friday and Saturday were days of horror. Strong easterly winds drove the fire down the westerly slopes of the Carmel Range. In the half-burnt artists' village of Ein Hod, it consumed houses and works of art, but thankfully no lives. Two Haifa neighborhoods and half a dozen villages were evacuated. Some 12,500 acres and 5 million trees, nearly half of the National Forest, are gone. Israelis can no longer tell themselves, as they so often have, “the whole world is against us.” For once, Israel looks weak, clueless, touchingly civilian in its human and ecological misfortune. As I write this on Sunday morning, with two or three remaining fire areas, the outlook is at last “optimistic.” Most houses are danger-free and habitable. The university is safe. A truly heroic band of firefighters and nature lovers surrounded a meadow in the burning wildlife reserve, successfully defending the rare Carmel deer and other mammals for two days and two nights; falcons and vultures were whisked to safety. Amidst these shreds of light, the nation is burying its dead and lamenting its "Yearlong Evergreen Mountain," as a popular song had it. But all this is only the blackened stump of the story. Our tale branches out in many unexpected directions. First, the colossal news. Unable to cope with calamity, Israel cried out for help. And help came flying. Do not underestimate the Israeli's surprise, both bitter and pleasant. We have had disaster and mourning before, but never (at least since 1973) were they tinged by such unfamiliar and utterly scary helplessness. A country so steeped in manmade misfortunes, so proud of its ethos of self-support, was caught unaware when nature struck. Several hours into the blaze, Israel's fire services were out of dousing chemicals. Prime Minister Benjamin Netanyahu, on the scene quickly and visibly, could do only one thing: He picked up the phone. And then something epic happened. It began with Greece and Cyprus rushing out fire-dousing aircraft. Bulgaria, unprompted, packed off 90 firefighters. Spain, France, Croatia, even Azerbaijan, were quick to the rescue. Snowbound Britain and Germany pitched in. Australia offered its bushfire-fighting wisdom. Vladimir Putin swiftly and generously sent the large-bellied Illyushin that I just saw cutting the clear blue sky above my home. New York was faster than the U.S., sending a jumbo jet packed with dousing chemicals. Only on Saturday did President Obama speak publicly of sending aid, and Israelis took note of his belatedness. In the meantime, the American Super Tanker aircraft, commercially leased by the Israeli government, arrived on the scene. As I write this, all residents of the Haifa region are told to close their windows as the mammoth jet starts pouring its deluge of douser-laced water. They include the whole Israeli cabinet, relocated from Jerusalem to the town of Tirat Carmel for its Sunday session. The most touching offers of help, made good by the swift arrival of firefighters, came from Turkey and from the Palestinian Authority. President Erdogan, not warm but cordial, spoke of a "human and Muslim duty." Netanyahu thanked his Turkish colleague and mentioned a possible about-turn in the two nations' standoff, but Erdogan was quick to douse this little flame, announcing that relations remain "bad" pending a full Israeli apology for last summer's flotilla event. His pilots, by the way, are reportedly doing a great job. Palestinian President Mahmoud Abbas was far warmer, and admirably unconditional, in conveying his condolences to the people of Israel and sending several Palestinian firefighting units to the Carmel. Again, Netanyahu gave thanks. Israel's future firefighter airborne unit, he announced, will be on standby for Palestine, too. Israelis can no longer tell themselves, as they so often have, "the whole world is against us." For once, Israel looks weak, clueless, touchingly civilian in its human and ecological misfortune. To be sure, Iran and Hamas and Hezbollah are watching, celebrating, and taking notes. Future missiles are likely to head for dry woodland rather than urban centers. There have been some ugly jeers in Arab countries and on Facebook. But almost everyone else, Palestinians and Turks included, Israel-bashers from Europe included, are actively sympathizing with our all-too-human affliction. They may not forgive the arrogance and chutzpah so often associated with the Israelis, but neither can they forget the numerous occasions on which Israeli planes, medics, and aid workers rushed to the aid of the world, from Haiti to Thailand and, not least, to earthquake-hit Turkey. I cannot think of a natural calamity in human history that was so quickly and so thoroughly politicized. Jews and Arabs are jointly scorched by the fire, fighting the fire shoulder to shoulder, healing the wounded and clearing the debris together. But the blaze was begun, if the current investigation has it right, by Arab youngsters. For three days the familiar question, "negligence or arson?," burned through media and blogosphere with a sinister political undertone. "Negligence" sounds like good news. In the meantime, however, more than 20 copycat fires were started in other parts of the country, and the suspected arsonists held by police are all Arab. These men are not your friendly neighborhood pyromaniac; they are engaged in acts of terror, deliberately trying to ward security forces off the main and urgent task. One consequence is that the Palestinian Authority, both leadership and population, look better at the end of this dark day than some Israeli Arab citizens. But Haifa has always been a lighthouse of Jewish-Arab coexistence, and a model of inclusive civil society. Teaching in its university, I have the privilege of facing one of the world's most ethnically mixed classrooms. Druze, Muslims, Christians, and Jews in this region are not in the least ready to give up their good relations. Bad intentions are dwarfed by better sentiments, and calamity is likely to strengthen this budding capsule of peace. As did the 2006 Lebanon War missiles. Strikingly, inter-Jewish relations may be turning a notable corner under the smoke. On Saturday evening, the aged spiritual leader of the ultra-orthodox Shas party, Rabbi Ovadia Yossef, uttered one of his serial quasi-enigmatic hostilities against secular Jews. "Fire takes hold," he told his faithful, "only where the Sabbath is desecrated." The ensuing uproar is enormous. Shas is a major coalition partner. The rabbi's obedient protégé Eli Yishai, the internal affairs minister in Netanyahu's government, is directly responsible for the fire services. To be sure, cumulative fault for underfunding and malfunction lies with previous governments, and many fingers now point at the suave and stingy "treasury boys" at the ministry of finance. But Yishai is today one of Israel's most disliked politicians. His current mumblings—"I did send letters of warning," "I can explain it all to an investigation committee"—ring just as bad as Rabbi Yossef's unkind spirituality. As I reach my final paragraphs, the fire is probably almost subdued: as probably as fires allow. Like most dark clouds, ours has a silver lining. The Carmel blaze was a failed test, both horrible and useful. It showed the weakness of our executive's high and middle echelons, where warnings were rife but performance poor. It proved a clear continuum between civil safety and military prowess. It suggested a new algorithm for Israel: Get better officials, and you'll need fewer heroes. Disasters energize the Israelis, bring out the best and the worst in us. We are quick to blame, quick to help and sympathize, quick to question conventions and seek novel solutions. The Carmel fire may yet strengthen civil society and government, dissipate distrust in the "World," and shed humane light on the Palestinian Authority. It can resuscitate Israel's signature communal responsibility and its secular and pragmatic self-reliance, balanced by a new and refreshing humility: Remember the day we asked the Azeris for help? Capping it all is the Jewish-Greek irony, a sensational turning of historical tables. Hanukkah’s festive candelabra commemorates a little oil lamp that burned for eight days, after Antiochus IV's Seleucid-Hellenic troops sacked the Jewish temple and the Maccabees won it back. Twenty-three centuries later, this Hanukkah, Greek firefighter pilots are deftly navigating their airplanes though mountain and forest to save Israeli lives. This, like so many other aspects of the unwarranted blaze, is tragic, but also very beautiful. 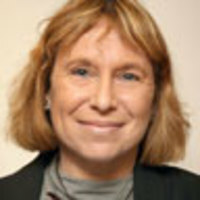 Fania Oz-Salzberger is an Israeli writer and historian, professor at the University of Haifa and Leon Liberman Chair in Modern Israel Studies at Monash University. She is the author of Israelis in Berlin (2001) and has published numerous academic and opinion articles.